A woman whose husband died after having a medical crisis onboard a Spirit Airlines flight has filed a lawsuit against the airline and two of its flight attendants, claiming the airline was negligent in its training of staff. The 41-year-old man was on a Spirit Airlines flight from Las Vegas to Chicago in April 2013 when he became unresponsive, according to the suit filed by his wife, reports the Chicago Tribune. The Chicago Fire Department said at the time that he’d gone into cardiac arrest. At the time, the lawsuit alleges that the two flight attendants were unaware of where to find the medical equipment on the plane. 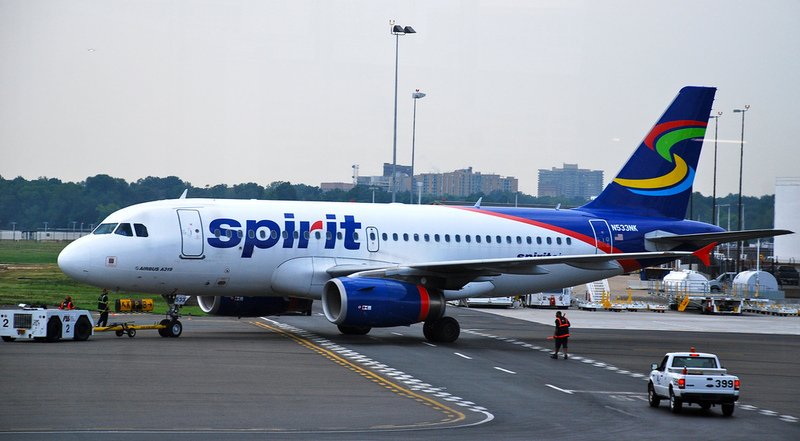 “Spirit had a duty to ensure that its flight crew, including but not limited to its flight attendants were adequately and appropriately trained to address medical emergencies that might arise on board,” the lawsuit said. Although his fellow passengers tried to resuscitate the man during the flight, he died later that day, the lawsuit says. It was determined that he died from hypertensive cardiovascular disease. “This is obviously a very unfortunate situation and we are saddened for the [redacted] family’s loss. However, we do not believe Spirit Airlines is at fault,” Paul Berry, a Spirit Airlines spokesman told Consumerist.